Brexit. Welcome Out of the Club! The EU’s leaders do not want to run the risk of a no-deal Brexit. Hence they will probably accept London's bid for an extension of negotiations, even though some European politicians have called for conditions to be attached to their approval of this delay. At the same time, the EU wants to keep the costs of leaving high, to show the outside world and all member states that quitting membership in the club is a complicated and expensive endeavour, writes Kai-Olaf Lang, Senior research fellow at the German Institute for International and Security Affairs. The Brexit scenarios are not new. However, the political context and their probability have adjusted after the triple-vote in the House of Commons between March 12 and 14. As for a possible no-deal Brexit, the UK is just as afraid as the EU, so on March 13 the UK Parliament expressed a desire to avoid this. 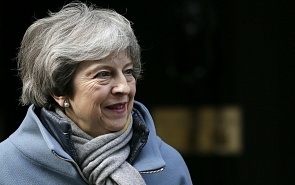 Backed by a parliamentary vote, the British Prime Minister will therefore ask her counterparts for an extension of negotiations about a withdrawal agreement – unless her “deal” is accepted by the House of Commons in a third attempt, just before the next EU summit. Such an outcome seems rather unlikely, because the group of staunch anti-Europeans in her party will not melt down dramatically over a couple of days, nor will the opposition Labour party want to give Theresa May the votes, which would give her success. At the same time, the scenario of a second referendum appears to be quite unlikely. The prevailing mood in the Conservative party as well as among most of the Labour party is against organising a second popular vote, as this would be seen by many as an attempt to revise the results of the 2016 referendum and thus to overcome the will of the people. The EU's position entails three main tenets. It does not want to run into the risks of a cliff-edge, i.e. no-deal, Brexit. Hence EU leaders will probably accept London's bid for an extension of negotiations, even though some European politicians have called for acceptance of this delay proposal to be attached to certain conditions. At the same time, the EU wants to keep the cost of leaving high, to show to the outside world and all member states that quitting the club’s membership is a complicated and expensive endeavour. The EU will also stand firm in ensuring the integrity of its single market and other core principles. Putting together the situation in the UK and in the EU, the likelihood of a no-deal divorce at the end of March, of a last-minute deal, or of a second referendum, are not very probable at the moment. Hence, both sides are moving towards a postponement of the exit date. If this is going to be a short-term delay, it will last no longer than until the end of June due to the elections of the new European Parliament; however, both sides could run into a similar situation to the one they face now. What will be different is the pressure: The EU might assume that given the definitive threat of a cliff-edge-exit in early summer 2019, the UK will back down. It might also think that as the new deadline approaches, more and more pro-Brexit Conservatives will shy away from their rejection of Theresa May’s deal, as they are aware of the damage faced by the UK. This, of course, could also be a consideration for the British prime minister herself. A long-term postponement of Brexit, for a year or more, is difficult to imagine. That is not only because this would entail legal challenges and mean that the UK would be represented in the next European Parliament, but also because hard-line Brexiteers might fear that this period is being used by Remainers to pursue a second referendum anyway. Especially because the EU could bind its approval of a longer extension to British commitments pointing in this direction. In addition, snap elections in the UK could be held, which might not only lead to a change of government, but also to a modified negotiation strategy. What will the long-term effects of Brexit be? The current uncertainty is related to negotiations about the withdrawal agreement. Once the modalities of the exit are defined, the future relations between the sides are to be regulated by a new bilateral agreement. However, the outcome and the proceeding of the withdrawal talks will also affect the long-term relationship between the EU and the UK. A no-deal scenario would weaken the UK’s negotiating position vis-à-vis the EU, and it would entail disappointment in the EU about the willingness and the ability of the political leadership in the UK to lay the groundwork for a constructive relationship in the future. There will probably be quite some pragmatism in finding new solutions for ensuring trade, investment and economic contacts, but there could be a sort of additional UK-fatigue in the EU, if it came to an uncontrolled Brexit. Irrespective of that, the leaders on both sides would seek out spheres of cooperation, from internal security to foreign and defence policies, and from climate change to sustainability and environment policy. In addition, many member states will try to enhance their bilateral relationships in different areas. Brexit will change the EU, but it has also solidified cohesion between its 27 remaining member states. The complications and confusion associated with the withdrawal negotiations and the prospect of the UK leaving the union has consolidated the EU. So far, the community has maintained its unity during the negotiations, and no other country is keen on embarking on the British path. In addition, the UK remains in NATO, and with its military and defence capabilities it will continue to be an important player in European security and a key partner for the EU member states. With an important Atlanticist country leaving the EU, the United States will try to find new contacts and reinforce old friendships within the Union, e.g. among some Central and South Eastern European member states. Moreover, if transatlantic disputes will be controlled, it could try to establish more intensive contact with the “heavyweights” in the EU. When it comes to external relations and particularly EU relations with Russian and Eastern Europe, the EU and the UK will probably try to coordinate their policy to some degree. As this field is an intergovernmental domain in the EU, it could be relatively easy to have informal arrangements and consultations between both sides. Brexit will probably not mark a major rupture in the EU's policy towards Russia and Eastern Europe, because for quite some time, there have been other EU national governments, which have been much more active in shaping the union’s policies.